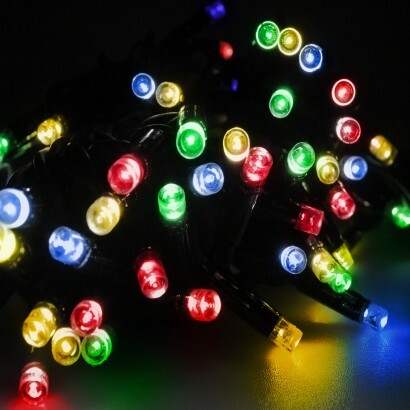 These indoor or outdoor multi coloured LED stringlight sets can be connected together making it possible to have up to 400 metres of lighting from just one plug. 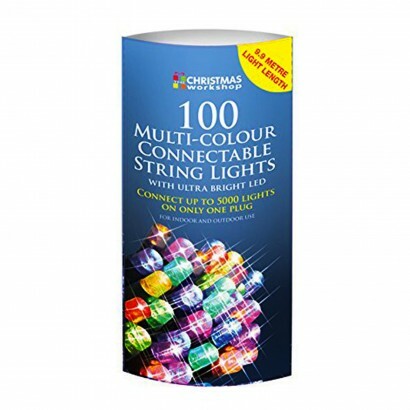 Each set has 100 bright multi coloured led bulbs and offers 9.9 metres of illumination. Ideal for parties, Christmas, summer decoration and more, simply plug into the mains and enjoy colourful runs of lighting indoors or outdoors. Connect up to 50 sets at any one time giving 5000 lights over a 400m run!